Self-care is something that should be taken so seriously. It’s as important as our need, and right for food and water to sustain us. 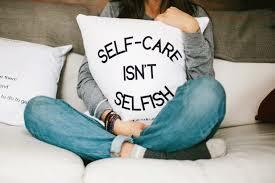 Self-care is not about ‘looking good’ as social media may suggest. You have to actually enrich the energy that resides within you. Our society glorifies ‘busy’, and it’s a trend that we’re all trying to keep up with, much to the detriment of our mental health and overall wellbeing. We’re simply not taking the time out that we need, irrespective of whether or not we think we deserve it. 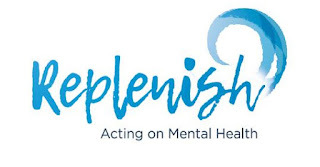 The fact that ‘Replenish: Acting on Mental Health’ is just under a year old and yet booked by numerous companies and businesses to deliver ‘Mental Health in the Workplace’ workshops is suffice to indicate that the need for, and recognition of, self-care is becoming more prevalent. After all, how can a business be prolific in its output of services and goods if its workforce isn’t in optimum health? 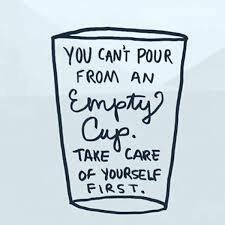 For myself personally, self-care is a sacred factor in maintaining my wellbeing. Living with a mental health disorder alongside being a therapist means that it’s not a choice, but a necessity. After all, “You can’t pour from an empty cup”. So whilst I am on medication for my mental health, AND as knowledgable in the field of mental health care and support as I try to be, I still am very conscious of the fact that my mental health can still be quite precarious and inclined to deteriorate if certain steps are not taken and efforts maintained. 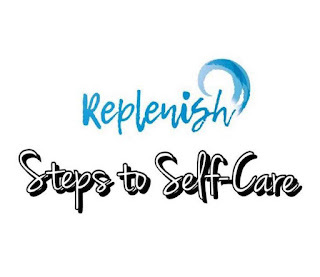 So a few of the Replenish team have compiled a list of the steps that we all should take to ensure optimum wellbeing because mental health wellbeing isn’t dependant on ‘one solution’, unfortunately. It’s the realisation that wellbeing and recovery is comprised of smaller pieces that accumulate to make up a customised and personalised jigsaw of wellness. As I go through these steps you’ll see why ‘Replenish’ is made up of various professionals of various fields that are conducive to acting on mental health. 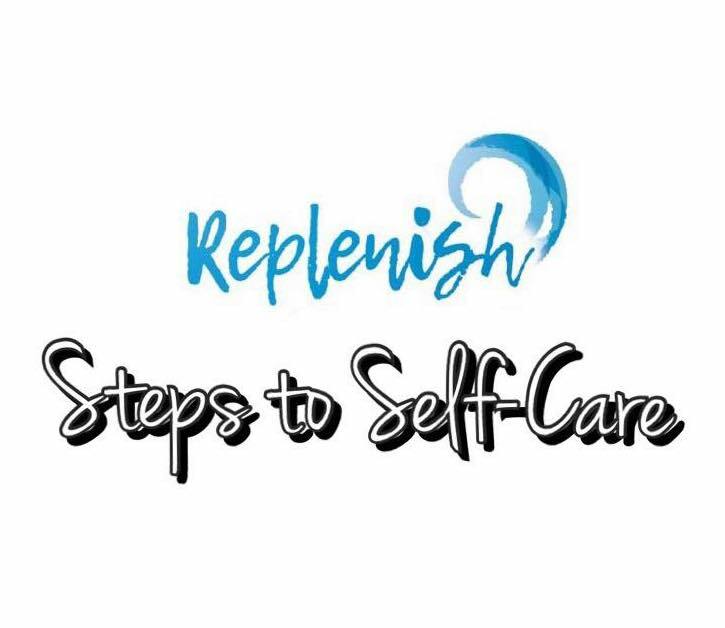 Each steps is written by a professional within Replenish and you will be able to contact as they've listed their contact details below. To begin with, Yasmin will detail the importance of her role as an Occupational Therapist in developing a lifestyle conducive to good mental health. 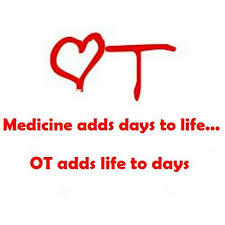 As an Occupational Therapist, one of our main focuses is understanding the importance of and creating a balance between a human’s occupations. Occupational balance is a way of being, cultivated by a multitude of self care, productivity and leisure occupations. Balanced engagement in such occupations should promote feelings of positivity, satisfaction and achievement. I am therefore a firm believer in working with my clients to review their current daily routines and find strategies that will achieve a balance in their daily routine. By investing time in balancing your self care, productivity and leisure occupations, you are likely to benefit from an increased sense of well being and able to manage stress more effectively. There is no quick fix to managing your mental health, instead focus on making your whole health a priority every day and you will see positive changes. One of my favourite habits I practice every day is going for a 30 minute walk. I try to do this in the morning time when I first wake up, it’s my ‘me’ time, it allows me to be in nature and calm my mind before my working day commences. It could also be an idea to incorporate an after dinner walk in the evening as an opportunity to unwind and distress from the day. Taking medication for mental health is only one of many tools. It can help reduce symptoms enough to enable a person to pursue and receive benefits from lifestyle changes, support groups and counselling. As a pharmacist, I am aware that most people don't particularly want to feel that they need medication for any illness, but if appropriate, taking care of yourself in the best possible way is always a good thing and is not a sign of weakness. Medication isn’t for everyone. It’s not needed by every person who has anxiety and or depression because depending on the severity of your condition, you can manage it without pharmaceuticals. However, I have a clinical diagnosis of O.C.D, the “tenth most debilitating disorder in the world” according to the World Health Organisation. So basically, I need my medication to help me function and to live a ‘normal’ life. When I think a client could benefit from an natural aid to promote calm I always recommend ‘C.B.D. oil’. I wish I had this oil when I was a teenager rather than the placebo of ‘Kalms’ and ‘Quiet Life’. 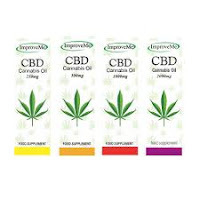 CBD hemp oil is from the Cannabis plant, however it is legal because it doesn’t have THC, which is the psychoactive ingredient that gives that ‘high’. 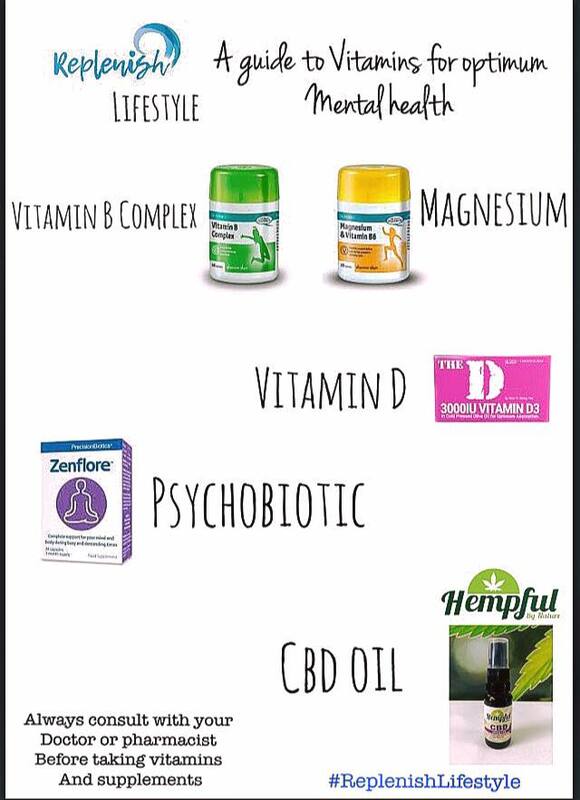 All humans have what is called our ‘Endogenous Cannabinoid System’ that regulates our mood, sleep, appetite, hormone regulation, pain, and immunity response. However our lifestyles can cause stresses that interfere with our mood, sleep and all those other important elements of health. So taking CBD oil regulates any imbalances in our already existing cannabinoid system. Like an expensive car, your brain functions best when it gets premium fuel. This is why adequate nutrition is so important for our mental health. Eating high quality food that contains lots of vitamins, minerals and antioxidants nourishes the brain and protects it from oxidative stress - the “waste” produced when the body uses oxygen, which can damage cells. Your brain can be damaged if you ingest anything other than premium fuel. If substances from “low premium” fuel (such as those you get from processed foods) get to the brain it has little ability to get rid of them. Diets high in sugar are harmful our brain and promote inflammation and oxidative stress. 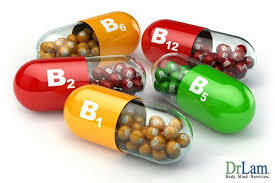 The B complex vitamins include 11 vitamins essential to mental health and well being. They cannot be stored in our bodies therefore we must depend on our diet to supply them. They can be destroyed by alcohol, refined sugars, caffefine and niacatine. Oral contraceptives in women can deplete the body of vitamins B6. 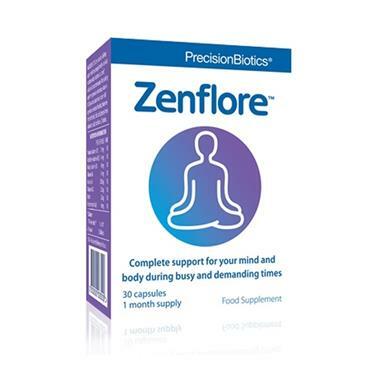 this particular nutrient is needed for normal mental health functioning. In such cases vitamin B6 can improve mood. 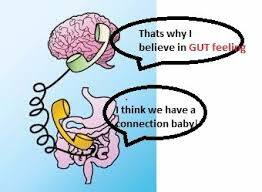 Deficiency in vitamin B12 can cause depression and in B6 can disrupt the formation of neurotransmitters in the brain. According to a study reported in neuropsychobiology, supplementation of nine of these vitamins improves mood in both men and women. 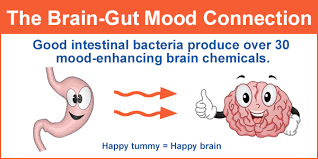 This mood improvement was particularly associated with vitamin B2 and B6. When we hear folate or folic acid we usually think of women in pregnancy or trying to conceive. But actually it is something I recommend for individuals with a mental health illness. It has been observed that people with depression have blood folate levels, which are, on an average, 25% lower than healthy controls. Low levels of folate have also been identified as a strong predisposing factor of poor outcome with antidepressant therapy. Folic acid can enhance the effectiveness of antidepressant medication according to studies. Also known as the Sunshine Vitamin as we get it from the sun. Living in Ireland or any other country that really only sees the sun a couple of months in the year, means that the majority of the population can be deficient in Vitamin D.
Vitamin D receptors have been found in many parts of the brain. Some of the receptors in the brain are receptors for vitamin D, which means that vitamin D is acting in some way in the brain. These receptors are found in the areas of the brain that are linked to the development of depression. For this reason, vitamin D has been linked with depression and with other mental health problems. Exactly how vitamin D works in the brain isn’t fully understood. 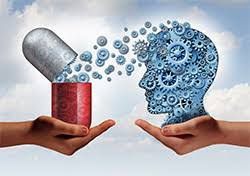 One theory is that vitamin D affects the amount of chemicals called monoamines, such as serotonin, and how they work in the brain.5 Many anti-depressant medications work by increasing the amount of monoamines in the brain. 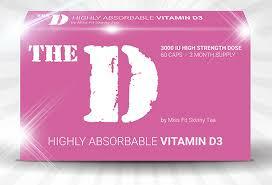 Therefore vitamin D may also increase the amount of monoamines, which may help treat depression. Should you need any information on nutrition or supplementation please free feel to get in touch. I know you’re breathing .. about 25,000 times a day. But are you really aware of all these breaths you take? Place both hands gently on your belly EXHALE all of the air out of your lungs through your nose. Now inhale (through your nose) slow and strong right down deep to your belly, pushing your hands softly outwards. Inhale thoroughly. Keep moving your hands with your breath. Up and down. Up and down. This is abdominal breathing, the first way yoga students are taught to breathe. Breathe properly and you send oxygen flooding into every cell of your body...yes, your cells breathe. Breathing is important because our cells need a constant supply of oxygen so they can produce energy. Without oxygen cellular function is impaired and and cell death is possible. So we can see that breath is the very essence of life. In yoga we call it Prana, which is known as 'life force'. 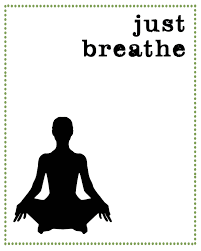 Breathing calms the autonomic nervous system and induces a sense of calm and relaxation. It helps us deal with unnecessary impulsive reactions and reduces our stress levels. 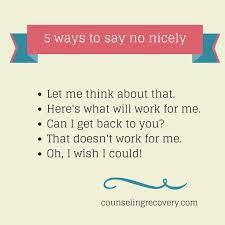 When I feel low & anxious I feel worthless, like I have nothing interesting to say to my friends, family, colleagues. Especially colleagues & customers - the people who least know me. The paranoia is relentless & persistent & exhausting. The internal dialogue - 'they think I'm boring/stupid, they wish I'd hurry up, they think I'm weird because I don't go on work nights out or drink, I'm the only one who makes mistakes' and on and on the list is endless. When I'm having a 'bad day' I see no point in anything, there's no colour, everything is messy & dis-organised. I just want to stay in bed. I feel like I am merely going through the motions, functioning at the lowest level necessary, existing - NOT living. That is what anxiety does to you. It robs you of your personality, robs you of your confidence and robs you of your identity. My only thought can be HOPE. Recovering from the way I feel on those 'bad days'. 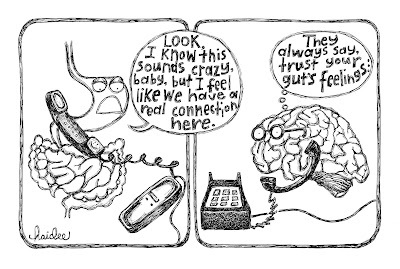 I can tell those of you who feel like this that your emotions do come back in recovery. Your confidence and personality gradually return in little strips, building up in layers, until eventually you feel like the person you were before you became ill. It takes commitment & tenacity. It takes speaking up, confiding in your 'tribe', being honest with yourself & with them. Totally honest. If you can't say it out loud, technology is your friend - put it in a text, just start the conversation. Everyone's self-care is different. For me it's taking quiet time out, detaching, re-charging. My work is busy, both physically & mentally demanding, so quiet time is vital for me. I like to spend time with people who are close in my circle, people I feel safe with. Movies, pamper time, naps, meditation - these are all things I enjoy & make time to incorporate them into my life. It's absolutely vital for me. I read a lot about anxiety & obsessive thoughts. Meeting Caroline has been an absolutely pivotal part in my recovery. Finally I felt like I could speak about how I was feeling, without fear. It was absolutely liberating. I drove home exhilarated after my first group session - I WAS NOT ALONE. "Never say yes when you mean no, and never say no when you means yes"
Simple but effective. Try it. I was a people pleaser even to my detriment on most occasions & now I realise I also need to please myself. I've started challenging negative thoughts when I have them and try to list facts to support the thoughts - the majority of the time they are unsupported. I am the most impatient person, this I know. With everything in my life, not just wanting to be well. Recovery, I am told, will come in time. There is no time limit or magic cure. Everybody is different and some people will recover more quickly than others. Medication & therapy which works for one person might be totally ineffective for you - as I've discovered. 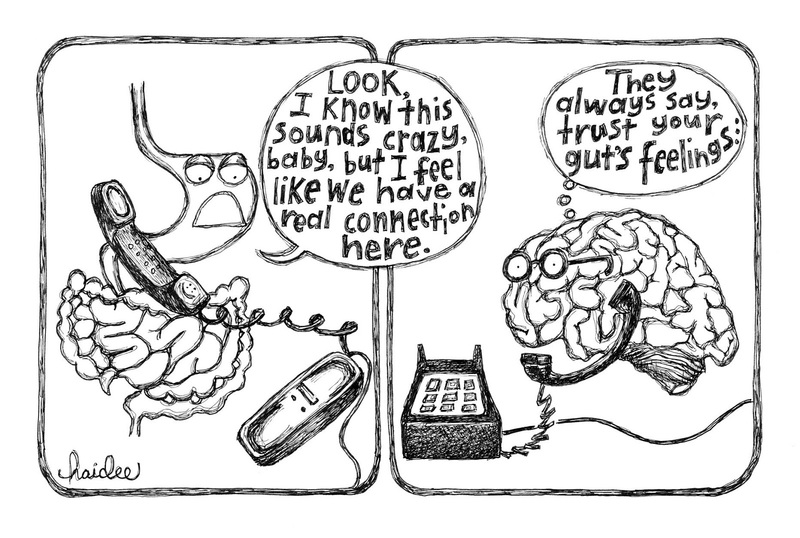 Yes, it's frustrating - please trust me, just be patient and your body will take care of itself in its own time. Remember this - you deserve to BE WELL. If you are struggling to be taken seriously by health professionals then be aware that you can take an advocate with you to help speak with you. I took Caroline with me to get the ball rolling. It started my journey towards reclaiming good mental health & has given me confidence to speak up to my GP since.